The same character defect that causes people to stop and gawk at train wrecks, causes others to listen to albums by messed-up guys. We’re not talking about the Malibu Ken’s and Barbies that frequent Club-Head. We’re talking real-deal mentally ill artists who went too far out and often didn’t make it back. Along the way some of them made it into the studio to chronicle their fine madness. Here are some of the best…..
Ostensibly a band product, “..Riot…” is a Sly Stone solo album in all but name. With the increasing success of the band, Sly started to carry more of the vocal and instrumental burden in the studio. The sixties had just ended and everybody was in a pissy, disappointed mood. Sly’s record label (Epic) wanted more commercial output. Additionally, The Black Panthers were in full buttinsky mode; insisting that black artists such and Jimi Hendrix and Sly Stone fire their white band members and create music more reflective of the urban black struggle. Ironically, Sly Stone, the purveyor of good time, mixed race vibrations went kooky and paranoid behind a devil’s brew of cocaine and angel dust. Sly’s trademarks became a violin case full of pharmaceuticals and a tendency to miss engagements. Finally, in 1971, “There’s A Riot Goin’ On” issued forth. The album title is meant to answer Marvin Gaye’s artistic question, “What’s Goin’ On?” The album’s hit single “It’s A Family Affair” abandons the positive, life affirming themes of earlier offerings (“Stand”, “Hot Fun In The Summertime”) and suggests a grittier urban landscape. A stagnant, gassy shadow hangs over the entire album. And if it sounds muddy and dirty, it’s probably because Sly almost wore the oxide off the master tapes ‘auditioning’ nubile back-up singers in the studio with the promise of stardom. 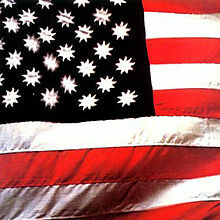 Sly followed up with the LP “Fresh”, his last gasp of genius before madness claimed him in perpetuity.